The courses needed for a Bachelor’s in Accounting prepare students for a lucrative and profitable field. There are many professional opportunities out there for those who are trained as accountants, and accounting majors tend to find work very quickly upon graduating even at times when the economy is weak. American universities typically require students to complete coursework in general education courses. General education requirements at a university are generally the same for everyone regardless of the focus of their study. These courses usually consist of introductory courses in some general areas of academic discipline, such as science, mathematics, and the humanities. General education requirements also typically include a course in English composition and a public speaking course. 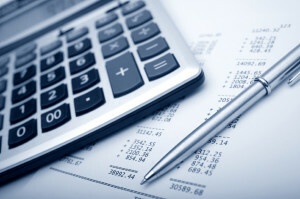 The curriculum of an accounting major typically includes a fair share of general business classes, including some fairly basic courses in using computer applications and systems, management, business law, and quantitative analysis, according to the Univeristy of Texas, Dallas. Accounting students might also have to take introductory courses in marketing and other subjects involved with managing a business. Although accountants do not have to follow their studies of mathematics through to as a high a level as that which is required of economics or engineering students, they do typically have to complete some coursework in applied calculus. Also, they need to complete some coursework in statistics and probability. It is important that an accountant understands the complexities of the economy and the world of finance. Accounting curriculum typically include a course in both macroeconomics and microeconomics, and they may require further study in economics. As accountants are responsible for tracking, directing, and organizing the financial features of businesses and organizations, they must study finance in terms of how it relates to business and managing a company’s monetary resources. In addition to general accounting courses, accounting students will also need to study accounting information systems and auditing. 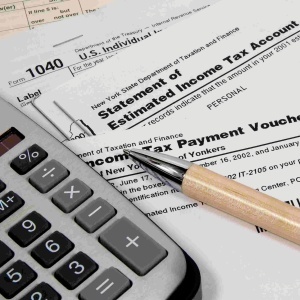 Taxation is an important topic in accounting, and most accounting majors will have to complete courses in both corporate taxation and individual taxation. Furthermore, they will probably have to take a few specialized accounting courses in accounting for government/nonprofits, financial accounting, and accounting ethics. Most accountants will specialize in a particular type of accounting or a typical type of business in which they would like to work. There are many distinct sub-domains within the overall field of accounting. These include forensic accounting, public accounting, tax accounting, management accounting, and consulting. These higher level and more specialized accounting courses can help give accountants a competitive edge in being able to fulfill a niche role in the larger field of accounting. An accounting major will finish his or her degree with a thorough understand of not only accounting, but also economics, finance, and the process of establishing and running a visits. Accounting majors learn useful skills, and just about every class they take is likely to provide them with knowledge that is practically useful and will help them along their way in their professional progression.